Topic: Info on 21 Military Watches. Re: Info on 21 Military Watches. Topic: 80’s 90’s Zenith Divers....any resources? Re: 80’s 90’s Zenith Divers....any resources? It would be better with a plain chapter ring and longer minute hand. disagree... I like the unique chapter ring and the hand length looks fine to me... think you're seeing it at a weird angle? 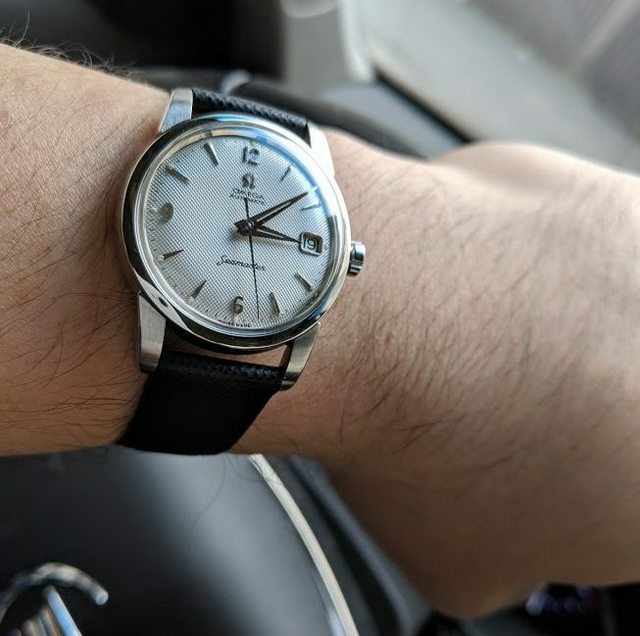 Just got this back after it spent 6 months with Omega in Switzerland. Smallest watch I can possibly pull off at 35mm, but it's gonna be pulling dress watch duty so I'm OK with the size. Happy Easter and Passover, DWC! really digging the Trieste again... great bang for buck!